The first difference which comes to mind is that ruby is red in color and a emerald is green. A stone is a ruby when it is colored a certain number of ways ‘“ ranging from pure red to a bluish shade inherent in the stone. Emerald on the other hand is a variety of the mineral beryl and gets its green color from trace amounts of chromium and vanadium. A ruby is priced for its color while an emerald commands a premium for its color and transparency. A ruby’s crystal system is trigonal and has a Mohs scale of hardness of 9 with a vitreous luster. Its melting point is 2044 degrees Celsius. The best rubies are from the Mogokm valley in Upper Burma. Rubies have also been mined in Thailand and Cambodia. An emerald’s crystal system is hexagonal and it measures 7.5 to 8 on the Mohs scale of hardness. Its specific gravity is 2.70 to 2.78 whereas its refractive index is 1.576 to 1.582. Emerald is found in Columbia- primarily in Muzo, Coscuez, and Chivor. They are also found in the Unites States in the regions of Montana, Nevada, North and South Carolina and Connecticut. Emerald is the birth stone of the people born under the astrological sign Taurus. 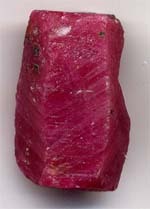 Synthetic rubies can be made by fusing potash alum at a high temperature with a little chromium being used as pigment. Synthetic emeralds can be induced by effecting an emerald overgrowth on colorless beryl. Rubies are usually improved by subjecting them to color alteration, improving transparency and filling up of fractures. Emeralds on the other hand are oiled with cedar oil to improve their clarity. Thus we see that emeralds and rubies are two important gem stones that have an important place in our popular imagination in terms of their value as gem stone, astrologically significant accessories, and its cultural and historical connotations. No wonder them that they have always been a part of folklore, since times immemorial. 1. Ruby is red in color and a sapphire is green. 2. A ruby is priced for its color while an emerald commands a premium for its color and transparency. 3. A ruby’s crystal system is trigonal and has a Mohs scale of hardness of 9 with a vitreous luster. An emerald’s crystal system is hexagonal and it measures 7.5 to 8 on the Mohs scale of hardness. 4. Rubies can be improved by subjecting them to color alteration, improving transparency and filling up of fractures. Emeralds on the other hand are oiled with cedar oil to improve their clarity. 5. The best rubies are from the Oriental world while the best emeralds are from the Western world. Manisha Kumar. "Difference Between Ruby and Emerald." DifferenceBetween.net. November 12, 2009 < http://www.differencebetween.net/object/difference-between-ruby-and-emerald/ >.